Product #1658 | SKU 127VS | 0.0 (no ratings yet) Thanks for your rating! The Manfrotto 127VS - Variable Spread Basic Dolly is the variable leg portable dolly. 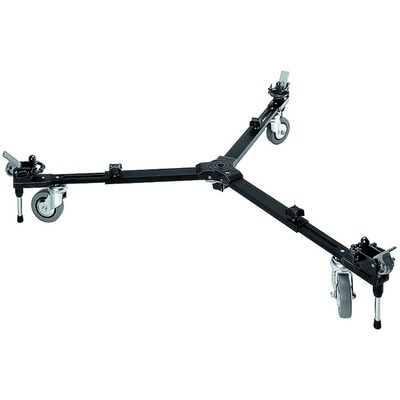 This dolly has a special feature that allows adjustment of the radius from a maximum of 114cm to as little as 78cm. This dolly is suitable for standard and spiked feet.